- Ideal For 1/10 , 1/8, 1/5 Scale Buggies, Stadium Truck, Giant-Scale Aircraft, 600~700 Helis CCPM.-..
- Ideal For 1/10 , 1/8 Scale Buggies, Stadium Truck, Giant-Scale Aircraft, 600~700 Helis CCPM.- Thre..
- Ideal For 1/10, 1/8 Scale Buggies. 600~700 Heli CCPM.- Three Coppers Bushings / Strong, Accur..
- Ideal For 1/10 Scale Buggies. 600~700 Heli CCPM.- Three Coppers Bushings / Strong, Accurate- Water..
- Ideal For 1/10 , 1/8, 1/5 Scale Buggies, Stadium Truck, Monster Truck, Rock Crawler, Giant-Scale A.. 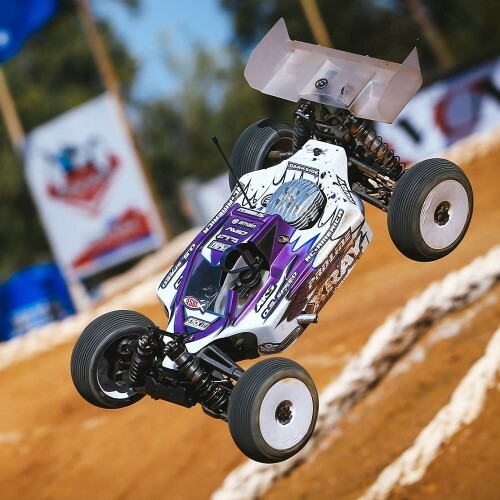 While supplies last - Ideal For 1/10 , 1/8, 1/5 Scale Buggies, Stadium Truc.. While supplies last - Ideal For 1/10 , 1/8 Scale Buggies, Stadium Truck, 60..
- Ideal For 1/10 , 1/8 Scale Buggies, 600~700 Helis CCPM.- Three Coppers Bushings / Strong, Accurate..